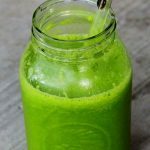 Green smoothies have literally transformed my life, and my love for them was what inspired me to start this blog. Over the years, I have received a number of the same questions over and over from my readers. Today, I’d like to address some of these questions again. I’m often asked what kind of blender I use to make my green smoothies. My personal preference is the Vitamix blender. I have been using mine for over 5 years, and it provides consistent, even results each time I use it. Vitamix blenders can be slightly pricey, but in my opinion, they are well worth the investment. Alternately, other good brands of blenders to use for making green smoothies include Omni and Ninja blenders. If you are allergic to, or simply do not like the taste of, bananas, don’t be afraid to leave it out of a recipe. I like the taste of bananas, but some people use them only for the creamy consistency they give green smoothies. If you are worried about consistency, you can substitute half of an avocado or coconut meat for the banana. If you cannot have any of the fruits or leafy green vegetables that are listed on a recipe, don’t be afraid to substitute your own favorite ingredients. For example, if you think the taste of chard is just too strong, substitute baby spinach, which as a very mild taste. Experimentation is one of the best things about green smoothies. There is no right or wrong way to make them. 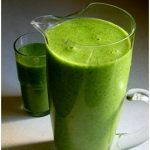 It is a known fact among green smoothie enthusiasts that brightly colored green smoothies are visually appealing to children. 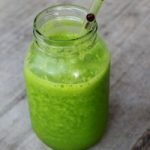 If you want to make your green smoothies bright green in color, then you should use lightly colored fruit, like pineapples or green grapes, to your smoothies. 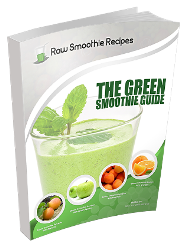 If you add darker colored fruit, then your green smoothie is going to assume more of a brown color. 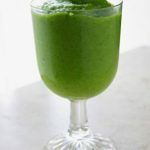 Can I add yogurt or milk to my green smoothie? I am a believer in proper food combining. 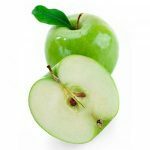 Dairy does not combine well with fruit and will cause fermentation, yeast, and sometimes in digestive issues. This is why I choose not to add dairy products to my green smoothies. However, this is simply my opinion only, and there will be some people who disagree with me. If you find yourself pressed for time in the mornings and are too busy to make your green smoothies then, make them the night before. Store them in a sealed container in your refrigerator. 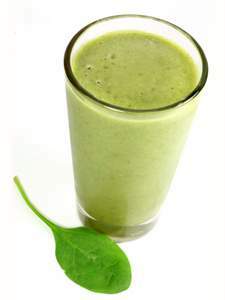 Green smoothies can safely be stored for up to 48 hours before they begin to lose their nutritional value. 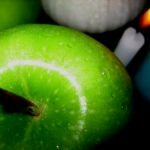 Finally, many readers ask me about how many calories should be in a green smoothie. In short, I never worry about counting calories when I am drinking green smoothies. You are eating/drinking raw and organic fruits and vegetables. This is one instance where counting calories can be thrown out of the window.